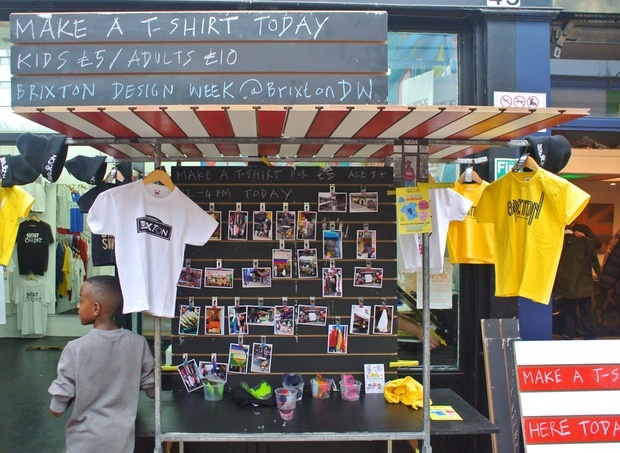 As part of Brixton Design Week, we collaborated with the social enterprise and youth design agency HustleBucks to run a series of children's workshops in Brixton Village. The standard market frames and components were ‘remixed’ by adapting the orientation and adding new elements, to create a space for the workshop to take place. Photographs of the market were used as the starting point for children to make their own T-shirts using offcuts from the printing process. 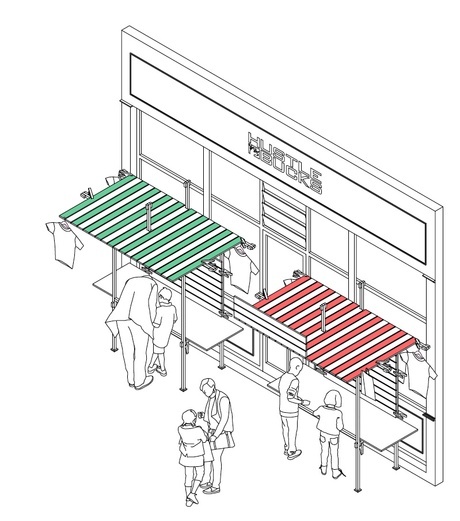 Thanks to Brixton Market Traders Federation for lending us the market frames and to Max Creasy for taking the photographs of the market that we used in the workshop.